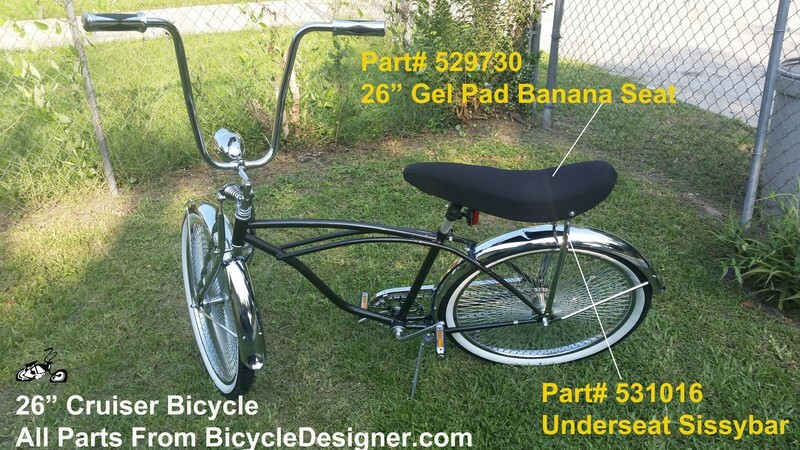 Finally, a banana seat adults can ride in comfort! 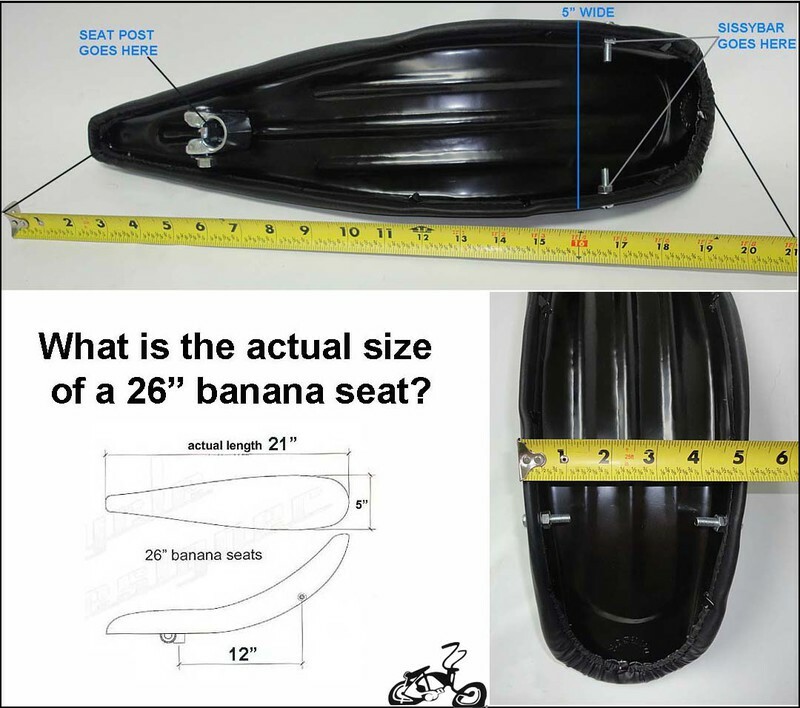 If you are building a custom bike this is the banana seat to complete your excellent work. Use this seat with our Under Seat sissybars 531015 or Cuda Suspension Sissybar 531014 and 531016 to enjoy the pure comfort of the entire seat without any obstruction from the top of the sissybar. Pros: Very comfy and the only banana seat I've ever found that needs no changing of the foam (usually WAY too soft). Cons: Blue colour of seat itself (when you take gel pad off to show of f the nice embroidery or if you don't want the disadvantages of a gel cover) was not mentioned in the website, and the staff ok phone had no understanding tjT this would matter...on a customized bicycle no less. Also, after a few years of use (I weigh 145 pounds) the seat bent a lot in the middle. Cons: Needs a bit more padding up front ( underneath the nuts).